I know everyone who is following is not on Facebook, and I see that Bud already made the announcement there. I left the hostel yesterday. All day long, I just wanted to curl up and go to sleep on the trail. That is how I felt early on with the tick disease.I wondered if I had a fever. I have no way of checking out here. I sat down to rest on a rock. I bent over and to the side to pick up my trekking poles (while sitting) and a felt a pop, and then pain. It was a few seconds before I could breathe in because of the pain. Later, I fell and it started hurting worse. I forced myself to eat when I got into camp, but all I really wanted to do was go to sleep. I had trouble throwing my bear bag line, and finally gave up put it in the vestibule of my tent. It’s hard enough to hike this part of the trail when you are in top top shape, much less when you feel as bad as I have felt. I have a post rolling around in my head about the kind of stock I come from. I’m not wimping out. I’m not crying because I didn’t finish. I think I accomplished what I needed to do out here this time. Though I might want to come back some day to do the parts I haven’t yet seen, I don’t think I need to do the whole thing again. Thank you, Bud, for making this possible…for all your support and encouragement. Thanks to the rest of you for all your prayers and support. You’ll never truly know how much it meant to me. Keep us posted as you journey to and reunite with the cheekins, cat & BUD ! Thank you, Mrs. B. I’m really okay about it…much more so than last time. I’m REALLY looking forward to being back home. Thank you for your support and encouragement! It has meant the world to me! Your accomplishments are amazing. Glad that you realize that and do not feel the same as last year. Congratulations to you and Bud for all that you have done. Thank you, Jim…and thank you for including Bud. I know you understand more than most what it’s like to be the husband and support person back at home! Thank you for following, and for your kind words. 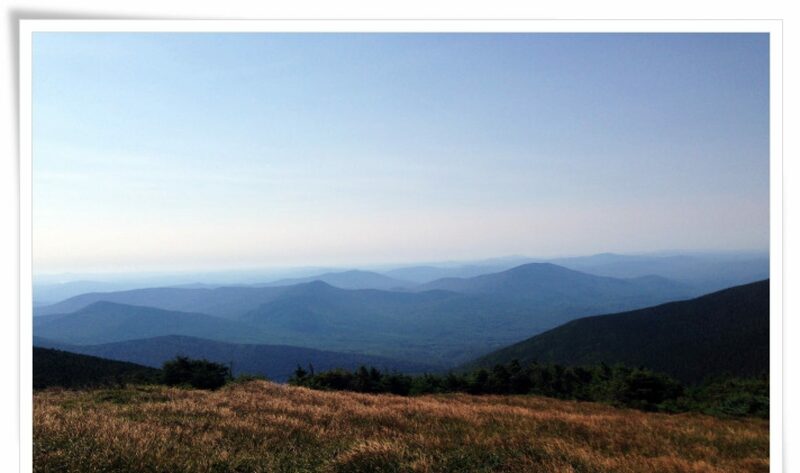 I think starting in Maine to complete the hike is a good idea. You are correct. The weather has been absolutely brutal this year! Hi Kara/Rebound, your trail name says it all for and about you. I think Wesley has a great suggestion. Section hiking is a most doable way to complete the AT. You have most certainly completed a lot of miles, especially when combining the total of both hikes. Thank you, Cindy. I’m so looking forward to being home! I think I will consider just finishing the section I have not done yet in Maine. I look forward to following your new blog. I’m glad you are feeling better about this trip and feel like you accomplished what you needed to do. I pray for a speedy healing from all that you have and may have. If your side still hurts, get check out. Now, to get home safe and sound. Praying. Thank you, Lee Ann. I will get it checked out if it continues to bother me. I really appreciate your prayers! It looks like another very long bus ride to get home! Praying for you! You have accomplished an amazing hike! I am still so inspired by you and appreciate being part of your journey. Safe journey home! I’d love an aftermath post. Hugs! Thank you, Helen. I’m so glad you followed my journey. I look forward to following your new blog! I am truest amazed by your spirit and faith. What a time you have had on the AT. We sure can’t predict what the trail will pass our way. If I put myself in your shoes, I don’t know if I could have with stood all the weather and the tick bite. Congratulations on a well hiked hike! I’m glad you found my blog and that we are in touch with one another again! I salute you! Well traveled hiker. You have already accomplished more than anyone I know. You are one brave courageous touch woman. Can’t wait to have you back home where you can get the rest you need and the care you need. The trail was brutal this year! I can’t tell you how much I am looking forward to coming home! I’ve always missed Bud when we’ve been apart, but never ‘home’ like I miss our little place in the Ozarks. A big part of that is our neighbors, too! I cherish your friendship, and I am looking forward to having you over for coffee SOON! Sorry, meant to say you are one brave courageous tough woman! I’m glad that you have the courage to say when enough is enough. That’s a hard one for a member of our family, as you know. Tina and I are going through some of this now, and it ain’t fun. I have to quote Romans 8:28. ” And we know that all things work together for good to those that love God, to them who are the called according to his purpose”. And I know that you are, and you are! So, happy trails lead to home, and I’m glad that you and Bud will be together again. I’m praying for your complete healing from head to toe. Thank you, Dad. I remember you quoting this scripture often, and I appreciate it so much now. I also appreciate your prayers very much. I will call you when I get home. We need to catch up. I only know a hint of what is going on through Bud, and he didn’t know much. I love you, too! I’ll keep you and Tina in my prayers as well. Thank you. I’m feeling strangely peaceful about everything and I feel like I had the thru-hiker experience this time. Even though I hiked mostly alone, I feel like I made some friends this time. I also did a better job of focusing on the journey, rather than the finish line, and that is what I’m most proud of. You may consider getting a rib brace. It an elastic bandage you wrap around your rib region to give you support. Should help with the discomfort. A large width ace can do the same but may bunch up on you. An X-ray should be bin order. An urgent care center would be more affordable than an ER if they have X-ray capabilities. Even if it’s not a broken rib the brace should help. There’s not much else they do for a rib fracture except to take an anti inflammatory for pain like ibuprofen or naproxen. Prayers for you! Thank you, Tish. I really appreciate this! Can you get a rib brace at the drug store? It feels a bit better. It mostly hurts when I try to lie down. I’m going to visit a Doc at home to follow up with the Ehrlichia and will tell him about the rib, too. Perhaps. A medical supply store should have it for sure or order on line. Sorry to hear you are so sick and now in pain. You have endured much this time, but it sounded like you also got a lot out of it and accomplished many of the things you set out to do differently this time. Hope you are going home with many good memories that overshine the bad. Prayers for a speedy recovery. You have been such a joy to follow while on this hard journey. I know this decision wasn’t easy but it is probably for the best with the pain and sickness. You are a beast! You accomplished something most of us haven’t. I hope you’ll keep writing. Thank you, Jennifer. I’m so glad you followed me. I have really appreciate your comments and your encouragement. I’m not sure whether I will keep up this blog or not, but having followed other trail journals in the past, I do understand what it’s like for the person you are following to be ‘done’. It’s kind of like reading a good book, and then BOOM, it’s over. 😦 Best wishes to you, Jennifer! You have been a joy to follow! I hope you are now at home and feeling stronger. Rest up. I plan to follow you on your next adventure. You are an inspiration!! Oh my honey, I am so sorry you are feeling so rotten. But After following it all, I think you did really well! Wow, I am horrified that you broke a rib! I hope you start feeling better and you rest up well from this tremendous hike you have accomplished. Mi hermana, you have run the race, and personally I think you have flashed across the finish line with a fine time. I think you accomplished so much for yourself on this hike. You have nothing to be ashamed about with all you have done. I have loved following your updates and pictures. Such an adventure! Previous Previous post: VerMUD-It’s true!